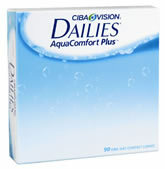 DAILIES AquaComfort Plus is another quality product by CIBA VISION. It is the world’s first lens with Triple-Action Moisture and boosts three moisturising agents working synergistically to provide comfort throughout the day. While all of our doctors diagnose and treat dry eye we are fortunate to have Dr. Julie Anderson in our practice. She has been a dry eye specialist with Eye Care Associates of Lee's Summit for more than 8 years. She is one of the few in the Kansas City area who specializes in this area and is widely recognized as a leader in the treatment of dry eye conditions. Dry Eye (Ocular Surface disease) is a common condition which affects millions of people each year. This is a progressive condition where the eye's ability to produce healthy lubricating tears is reduced and may subsequently lead to potential cornea scarring and other serious eye damage. Although dry eyes don't usually cause permanent damage, diminished vision may prompt you to seek medical treatment. See our doctors at Eyecare Associates of Lee's Summit, if you've had prolonged signs and symptoms of dry eyes, including red, irritated, tired or painful eyes. Our doctors can take steps to determine what's bothering your eyes or refer you to a specialist. Over the Counter Drops: These eye drops can be purchased at any pharmacy and are used to lubricate and moisturize your eyes. Over the counter drops help to soothe and relieve many Dry Eye symptoms. Your eye doctor can recommend which lubricating drops will help to relieve your symptoms. Avoid using medications that .get the red out., but use a lubricant that will moisten and protect your eyes. RESTASIS® (Cyclosporine Ophthalmic Emulsion) 0.05%: RESTASIS� is an FDA-approved prescription therapy which enhances the production of healthy tears in your eyes. RESTASIS� is often used for patients suffering from Chronic Dry Eye and requires a prescription from your Eyecare of Lee.s Summit provider. Punctal Plugs: Punctal plugs are used for patients who suffer from Dry Eye. This is a painless procedure that can be performed in the office by your eye doctor at Eyecare Associates. The plugs (like a tiny sink stopper) are inserted into the lacrimal (or tear) duct to help plug or stop the tears in your eyes from draining so quickly. This allows the tears to bathe your eye for a longer period of time. Blepharitis Control: Often, dry eye symptoms can be exacerbated by blepharitis (eye lid inflammation). There are a series of treatments to help control the inflammation and control the dry eye symptoms. Dry Eye Syndrome (DES) is an uncomfortable and often painful condition, but it can be easily managed by our eye doctors. If you think you may have Dry Eye Syndrome please call us today at 816.524.8900 make an appointment to see your experts at Eyecare Associates of Lee's Summit, and know that relief is on the way. If you have used many types of OTC eye drops several times a day, talk to our eye doctors. Don’t wait until your next annual eye appointment. An eye doctor can examine your eyes and determine whether you suffer from Chronic Dry Eye. Then, ask our eye doctors if a prescription for RESTASIS® is right for you. You can help by providing as much information as you can when you go to your eye appointment. Answer the questions thoughtfully, take it with you, and share this information with our doctors. Then, ask if a prescription for RESTASIS® is right for you. We are your Eye Doctor, and Eye Glass Experts. © 2004-09, EyeCare Associates All rights reserved.